Calms the heart, soothes the mind, descends Qi, regulates excitation and inhibition. Possesses sedative, analgesic and antiallergenic functions. Use: calms the mind, treating insomnia, restlessness, excessive sensitivity. It promotes lower abdominal circulation, harmonises the liver, reduces high blood pressure, stress and anxiety very effectively. Emotion: Sadness, Depression. Effective in relieving visceral pain and cramps, vassal spasm, constrictor and spasm of arterial and vena. Use: Strong pain killing action relieving contractions in intestinal organs. Causes dilation of blood vessels and is used for treating pulselessness; vasculitis; spasms of the arteries and veins. It is also used for night sweats; involuntary perspiration. It is also effective for treating eye disease. Emotion : Anxiety, Worry, Nervousness. Tonifies, warms and nourishes the Kidneys, strengthens the loin. 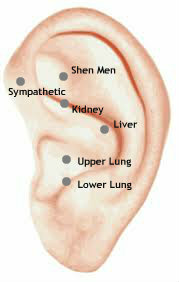 Reinforces the Kidney to hold Qi and build physiological Yang. Use: cleanse damage caused by drugs and alcohol, strengthens kidney function, nervous deafness, dental problems, nourishes sperm, strengthens the Lumber spine, aids brain tissue, assists urination and sharpens the eyes, ears and head hair. Emotion : Fear, Paranoia, Low self esteem, Lack of confidence, sexual dis-ease. Regulates functions of the liver (storing blood, maintaining patency for the flow of Qi, controlling the tendons, Harmonises liver and spleen (stomach). Nourishes Yin and restrains the Yang. Use: regulating blood circulation, improving eye sight, strengthening stomach, dizzy spells, convolutions, fainting, haemorrhage disease and iron deficiency anaemia, strengthen digestion, relieves chest heaviness, generalised soreness and pain, abdominal distension and depression. Emotion : Denial, Anger, Violence, Irritability, Depression. Promotes lung function of dominating Qi, governing respiration, monitoring skin and hair, transports nutrients (blood and Qi) regulates metabolism of body fluid. Use: Controls breathing and regulates body temperature and promotes circulation of oxygenated blood. Effective in treating oedema, night sweats, skin disease, laryngitis. The lung and large intestines are intimately related and this point is effective for treating enteritis and diarrhoea. Emotion : Holding on, grief, lack of motivation.